An Anchorage dentist faces a slew of allegations that he unnecessarily sedated patients in order to maximize Medicaid payments, according to charging documents filed in court this week. Seth Lookhart of Clear Creek Dental was charged with 17 counts of fraud and "unlawful dental acts" based on an investigation by the state Medicaid Fraud Control Unit, the Office of Inspector General and agents from the FBI and DEA. Lookhart's office manager, Shauna Cranford, faces 16 charges. Ten of the charges are felonies. Lookhart appeared at his bail hearing Wednesday at Anchorage's Boney Courthouse, where District Court Judge Jennifer Henderson sided with the state in determining that he posed a flight risk for international travel. Lookhart's ties to Brazil, where he owns a dental clinic, and his apparent possession of significant financial resources factored into Henderson's decision, she said. "I am not trying to express any particular point of view as to the charges," Henderson said. But they were serious, Henderson said, and "if true, very duplicitous." Lookhart forfeited his passport at the hearing, and his bail was set at $250,000 cash-corporate bond, to be paid by Friday morning. Lookhart and his attorney, Michael Moberly, declined to comment after the hearing. According to charging documents, the catalyst for the state's investigation came in August 2016, when a former employee told the state Lookhart was increasing profits by performing more IV sedation than necessary. Former employees told investigators Lookhart and Cranford pushed the sedation procedure, especially for Medicaid patients, while patients with private insurance were given only local anesthesia. Medically unnecessary procedures would be performed while patients were sedated, investigators were told. Generally, private insurers won't pay for IV sedation, said Assistant Attorney General Paul J. Miovas Jr. after the hearing. One person told investigators that IV sedation was used even for deep cleanings. IV sedation — where people are sedated via an intravenous needle — is generally the most costly form of anesthesia, according to the charging documents. Medicaid pays $170.76 for 15 minutes of IV sedation; by contrast, nitrous oxide gas costs a flat rate of $57. Under Alaska law, IV sedation is supposed to only be used for Medicaid patients in situations involving emergency dental care, or in cases where a person is "uncontrollable" — for instance, if they have severe developmental disabilities or "extreme apprehension." In those cases, sedation falls outside of the annual cap for a Medicaid patient's dental care. But a written justification is necessary. The state says Lookhart billed $1.8 million for IV sedation in 2016 — nearly a third of all sedation billings out of 57 dentists statewide, according to Miovas. The state alleges none of the billings had the proper justification — Lookhart wrote only "comfort" or "anxiety," which the state says doesn't suffice. Lookhart moved to Anchorage in 2014 and began working as an independent contractor at Alaska Dental Arts, charging documents say. He was the only dentist at the Muldoon office, which served mostly Medicaid patients. Lookhart told investigators business had been slow. Cranford moved to Anchorage in 2013 and in March 2015 began working as Lookhart's office manager, court records say. Cranford told investigators it was her suggestion that Lookhart be licensed in IV sedation. Investigators were told Lookhart was initially resistant to the idea, but Cranford eventually convinced him. On May 27, 2015, Lookhart got a sedation license, online records show. "So pumped on the IV stuff," Lookhart texted Cranford that day, according to charging documents. "It's going to be awesome and really drive things up here," Cranford wrote back, a few texts later. The state alleges Lookhart's payments climbed steadily over the years, thanks mainly to his sedation practice. During the first half of 2015, Medicaid paid out an average $27,000 a month to his practice. In January 2017, he was paid around $436,000. By the second half of 2015, Lookhart was still working at Alaska Dental Arts. Sedation had become its highest billing code. But his relationship with the business owners had soured, according to the charging documents. On Dec. 29, 2015, Lookhart and Cranford exchanged a series of texts where they allegedly planned to divert funds away from Alaska Dental Arts. "I want it untraceable," Lookhart texted Cranford. They agreed to start ratcheting up the sedation billing progressively over the months, moving away from Alaska Dental Arts and to Lookhart's LLC. The state says that billing records confirm the plan was carried out, with checks being sent to Lookhart's LLC and his home. In April 2016, Lookhart bought the practice for $2 million, with a $200,000 down payment, and changed the name to Clear Creek Dental, the state says. Along with charges of fraud, Lookhart and Cranford face charges for unlawful dental and medical acts. Investigators allege Lookhart performed a tooth extraction while riding a hoverboard, based on a video of him riding one in the office and then a second video of him extracting a tooth. He sent the videos to several people and joked that it represented a "new standard of care," charging documents say. The female patient undergoing the extraction was sedated. She later told investigators she didn't know about the hoverboard or being filmed. Cranford is also being charged with unlawful medical practices after allegedly pulling two teeth from a sedated patient and filming it without the patient's knowledge. "It was a real patient," Cranford allegedly texted an unnamed employee. "(Lookhart) let me do it." The state says in July, Lookhart's practice ran into a billing issue. The Legislature's Medicaid Reform Bill included changes that ended coverage for some procedures. Among the changes was one for a certain type of filling, which had previously fallen under emergency care. Without the classification, sedation would no longer be paid by Medicaid. A flurry of texts accompanied realization of the changes, where Lookhart and Cranford discussed how the practice would need to make up for lost profits, charging documents allege. "That seriously just took 1-2 million away if not more," Lookhart texted Cranford on June 2. They discussed focusing on dentures, emergency treatments, wisdom teeth. "A ton more extractions," Lookhart texted. "We will have to become know(n) as the denture place," Lookhart texted later. "Or that toothache place." "This blows," Lookhart texted later. Based on those texts, investigators began looking at whether fillings decreased and extractions increased once the Medicaid changes kicked in. So far, they have found that after July, the filling procedure billing decreased 91 percent. Extractions increased 74 percent. IV sedation continued to rise slightly, the charging documents say. "Although this data would strongly suggest that Lookhart was performing medically unnecessary extraction procedures, the state is not electing to pursue any charges based on this evidence until a dental expert has had time to review the dental records for each patient," the charging documents say. Lookhart's office continues to operate, Moberly told the court Wednesday. His dental license is still active, according to online records. Lookhart has been suspended as a Medicaid provider, charging documents say. Miovas told the court restitution could top $2 million, not including fines, should Lookhart be found guilty. At the hearing, Lookhart was also ordered not to contact Cranford. Lookhart's next court hearing was set for June 6. 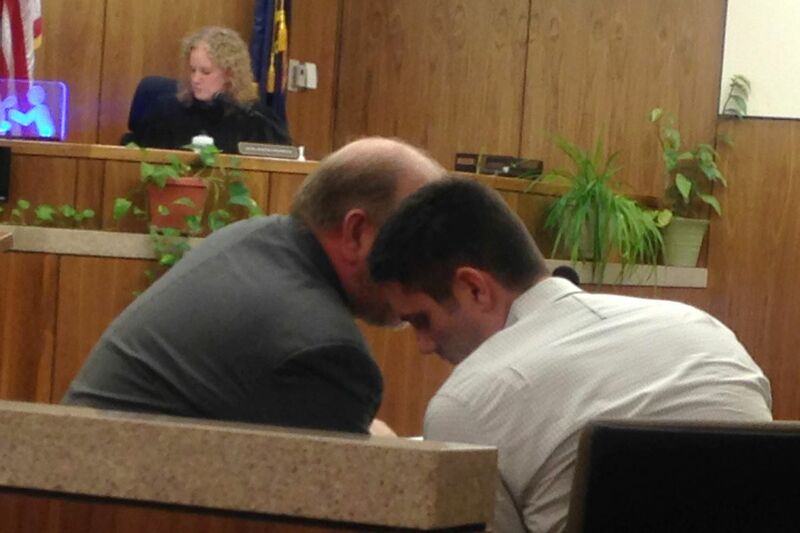 Cranford's first hearing had not been set Wednesday, according to online records.